Inner city apartment approvals are at the lowest in a decade, with recorded falls in all Australian capital city markets other than Perth. In CBRE's Marketview Australia residential report for the 2017 third quarter, the research indicates a year-on-year drop in house building approvals of 3.5 per cent with non-house building approvals falling by 15.6 per cent. Australia's capital cities have had almost 400,000 apartment approvals in the past five years, with 100,000 approvals recorded in FY16 alone. The reports authors Stephen McNabb and Craig Godber noted that most markets recorded their high points between financial year 2015 and 2016, although in Sydney the approval cycle lasted longer. Over 30 per cent of approvals in this time have been in inner city locations -- within approximately a five kilometre radius of the GPO. Inner city approvals have accounted for 26.3 per cent of total metropolitan approvals in the past year -- its lowest level this decade -- and fallen in all markets except Perth. With the next two years likely to be the peak in completions in the current development cycle, the inner city share of activity in most markets is likely to remain constrained for some time. price growth looks to be easing, and while vacancy remains low, apartment completions in 2017-18 are expected to generate some rising pressures. 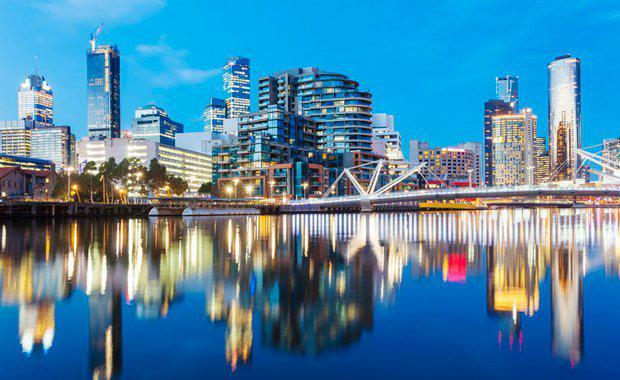 markets remain supported by the strongest population growth in the country, although capital growth within the CBD apartment market has continued to slow. is seeing clear signs that the inner city apartment market has slowed, with high levels of supply beginning to complete and easing demand from foreign investors. market remains patchy overall. Some parts have shown slight value growth, although not consistently enough to reflect confirmation that broader conditions have turned for the better yet. is seeing some vacancy pressures emerging as completed developments enter the rental market. apartment sales volumes have dropped although listings are up, suggesting a rise in vendor discounting and a lengthening in settlement timeframes.